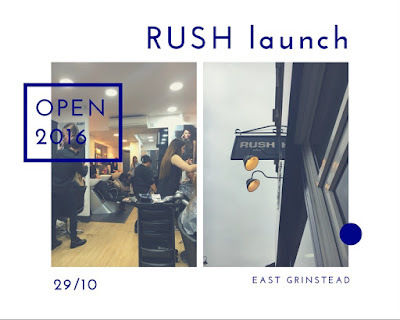 RUSH Hair Review & Opening West Sussex. I hope everyone is settling into the Autumnal vibe comfortably and consuming more carbs than you should be! I have been a very busy bunny and I've had some awesome opportunities recently. Rush being one of them. It isn't often that us bloggers get to do much outside old London town so I was very happy to hear about a launch in my own town of East Grinstead! 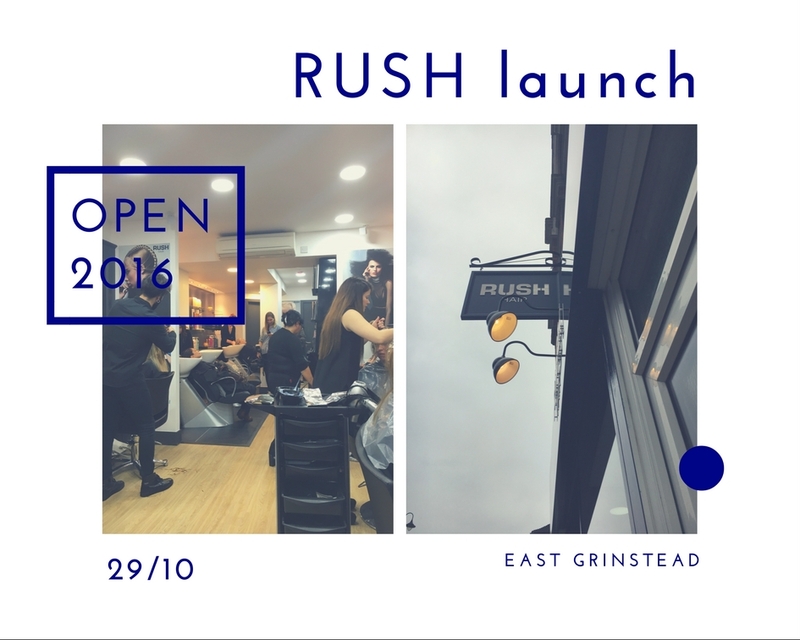 Rush Hair were opening a new salon literally on my doorstep, I had to see it and luckily I did. Firstly the salon is owned by Jess & Hannah, two seriously gorgeous girls who had both worked for Rush in the south-east prior. They soon became besties and having worked extremely hard together for 4 years they got the opportunity to open their very own salon under the Rush name. I have to mention at this point they're only 23! Seriously impressive and inspiring in my opinion. They were both lovely and very welcoming. The salon itself is absolutely beautifully designed, I think it was my first experience in a salon hair looking in a mirror where I didn't feel like shrek, the lighting was good! The feel of the place is very luxurious but far from intimidating. Whilst Kerstase and GHD products adorn the shelves, the sinks, treatments and colouring section are neatly tucked away at the back of the salon so you really can relax when having your post shampoo head massage. Hospitality can be overlooked in salons despite sometimes spending hours inside them, not here. You're offered a drink as soon as you sit down and there is wi-fi access for customers which I think is a great touch. Jess did my hair for me and did such an incredible job, I had a block fringe cut in for winter as well as a few more layers and the ends trimmed. Not only was Jess super easy to talk to, she gave me tips on curling my hair and how best to deal with my hair type which I loved. So often I can't recreate a look at home and Jess made sure I knew how, awesome! 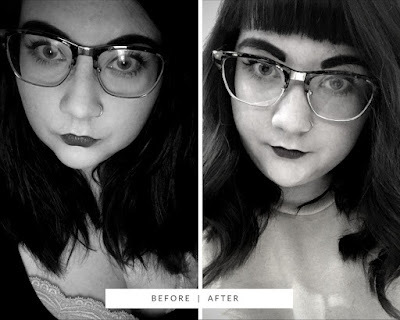 I absolutely loved my haircut as well as the overall vibe of this salon. Chilled out luxury with a real flare for style and customer care. The prices are so reasonable for the service you will receive from these women and it really is worth checking out! If you book online now you can get 50% off using the code "RUSH50"